Spacious Ground floor one bedroom apartment finished to a high standard. Lounge includes a double sofa bed, so can cater for 2 small children.. TV with built in free view. Also a Blu Ray DVD player. 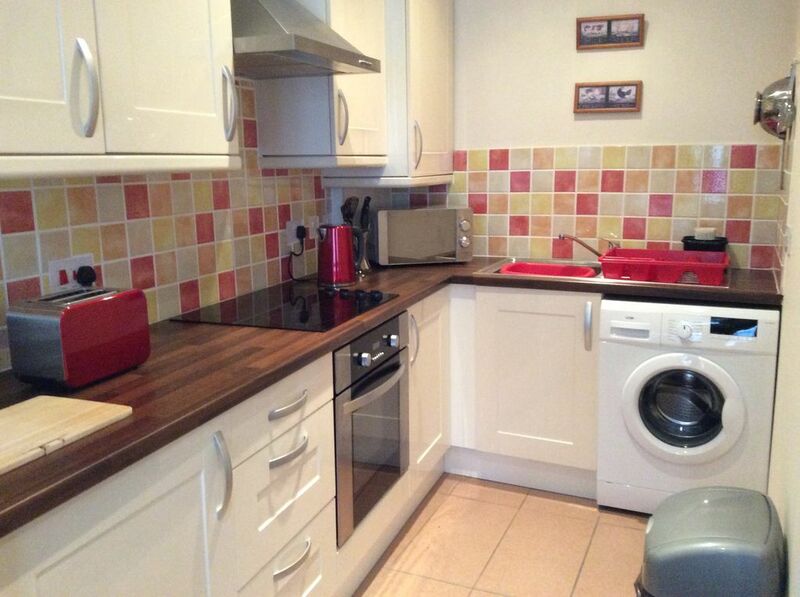 Fully fitted kitchen including oven, hob, microwave, fridge with small freezer compartment and washing machine. The bedroom has a flat screen television with a built in DVD player. Travel Cot and high chair. Located within 1 mile of Conwy Castle and just a walk away to the nearest train station. We are only a few minutes drive to the nearest beach. .
We have plenty going on for all the family. Colwyn Bay Zoo is only a short distance away which houses various species from around the world. The local RSPB is within walking distance. The local cinema is within a 15 minute walk from the apartment. Restaurants and take aways are within walking distance. There are 3 golf courses within a 10 minute drive. There is wheelchair access through the front of the property. We are close by to many of Wales fantastic activities and adventures. Surf Snowdonia is about a 15 minute drive away. Zip World in Betws y Coed is about 25 minutes away. This was our second stay for when we have had work in the area and it was lovely. The communication is brilliant. If/ when we have work in the area in future, this will be our first contact. Thank you. Very nice, great, Thanks Sue and Andy. Regards Anna and family. Thanks Anna. It was lovely to meet you and your lovely family.